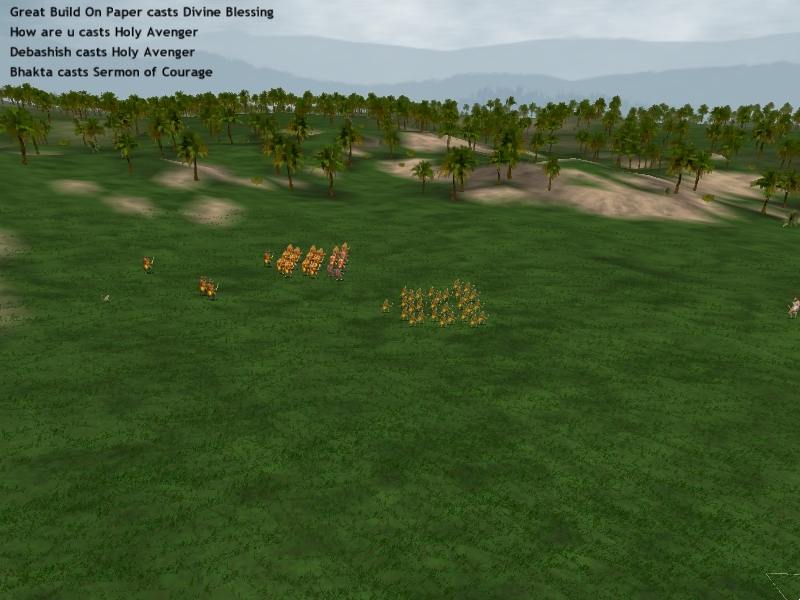 King Hippomnomnomnom's armies begin moving into position to crush the upstart Lankans. 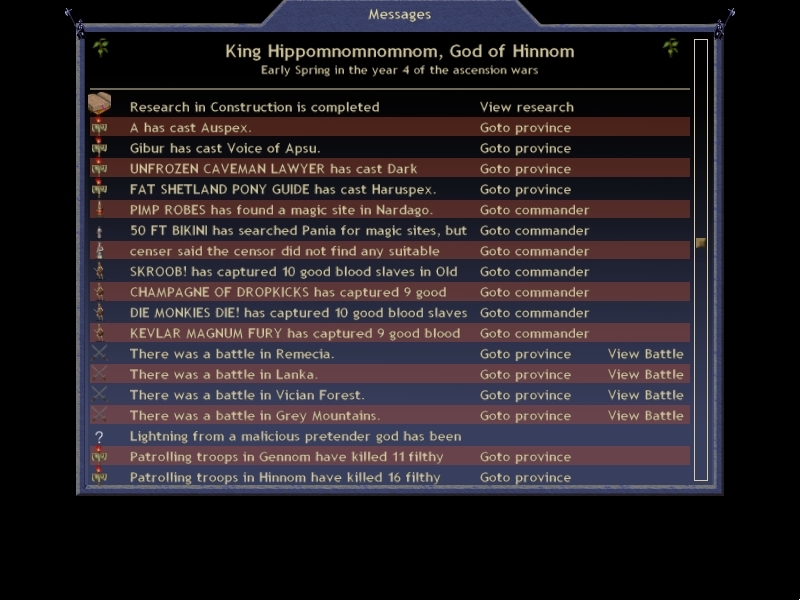 The Rephaites have been eating people and summoning demons since time immemorial. Now is the time to show Peak Theorycrafting and his mewling monkey minions what a real threat to humanity looks like. Site searching continues to proceed slowly. Blood hunting is up to 38 slaves this turn. Acceptable, but remember we're aiming for at least 100 for a real blood economy before we can be considered a real blood power. There are a number of battles this turn. Let's see how they went. 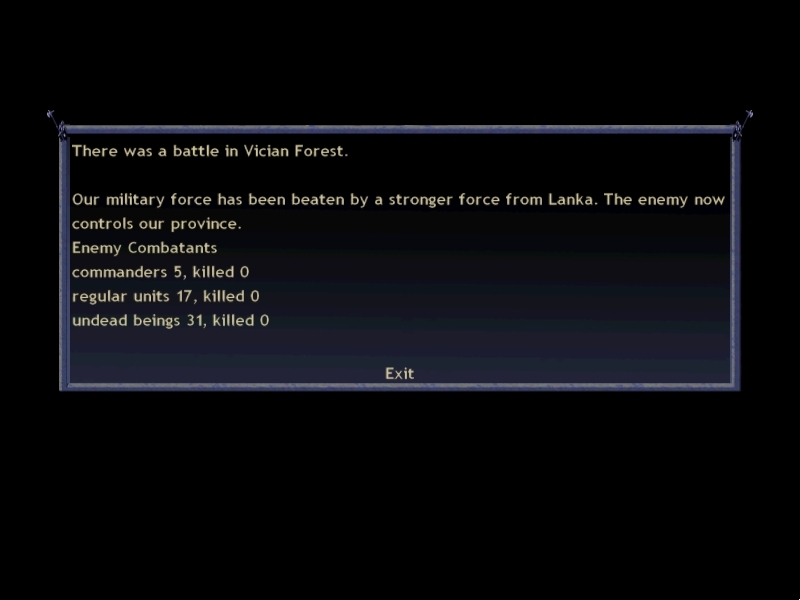 A Hinnomese scout probes Lanka's defense, only to be repulsed by the furious flinging of monkey poo. I sent an Avvite scout on the off chance TheDemon had only put up one point of PD. I thought the chance of taking his cap for another turn was well worth the potential loss. In Vician Forest, TheDemon brings everything he has. 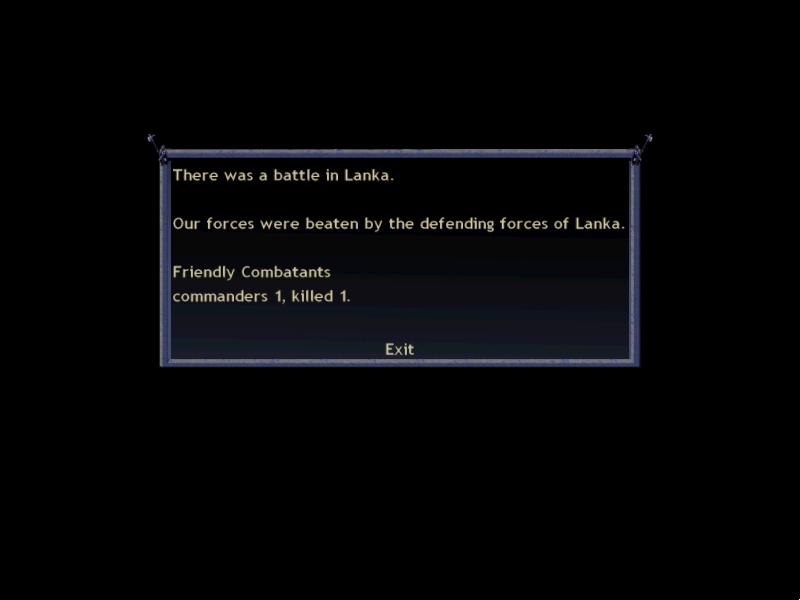 Five commanders, 17 palankasha and 31 Gana meet a fearsome point of province defense head on. 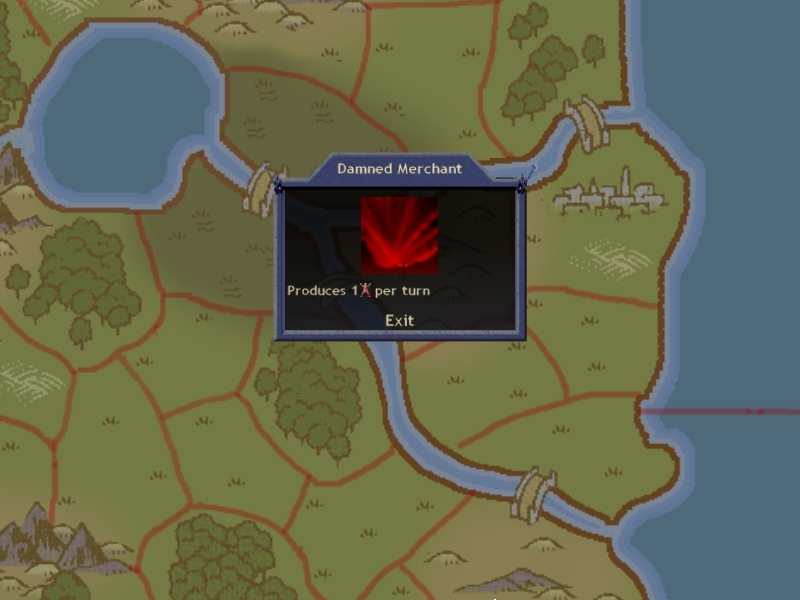 TheDemon can't really bring much less than this because otherwise I'll port a Melqart or Ba'al onto his troops and kill them. 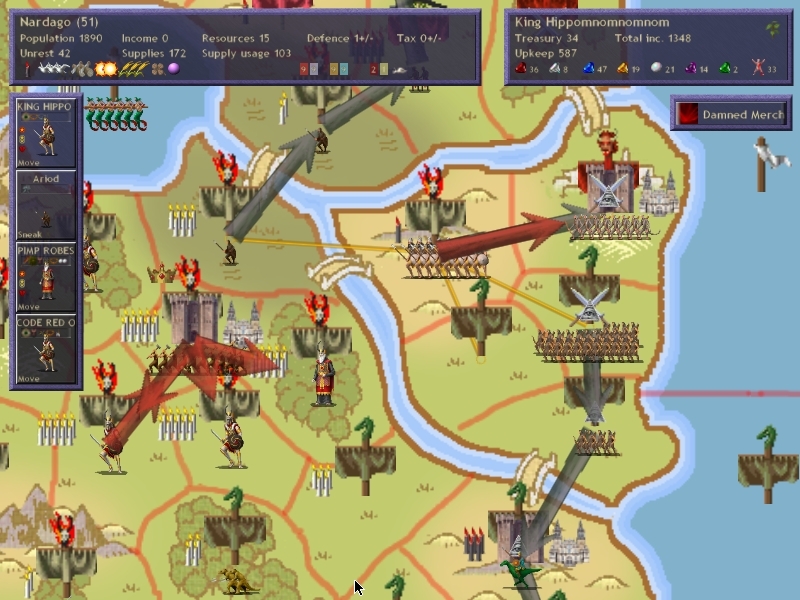 In Nardago you can see that KING HIPPO JR, PIMP ROBES and CODE RED ORDERER are all moving to attack Lanka. This is, I hope, the beginning of the end. Also in Nardago, look I found a blood site that isn't terrible (most blood sites only do bad things like raise unrest or curse units in the province)! Sadly, it is also not a discount site. 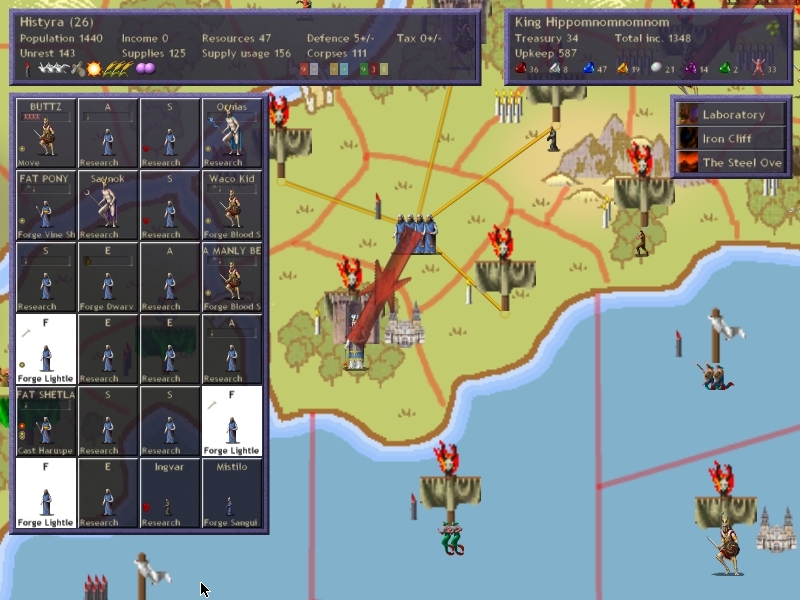 Here you can see the next stage of the game. 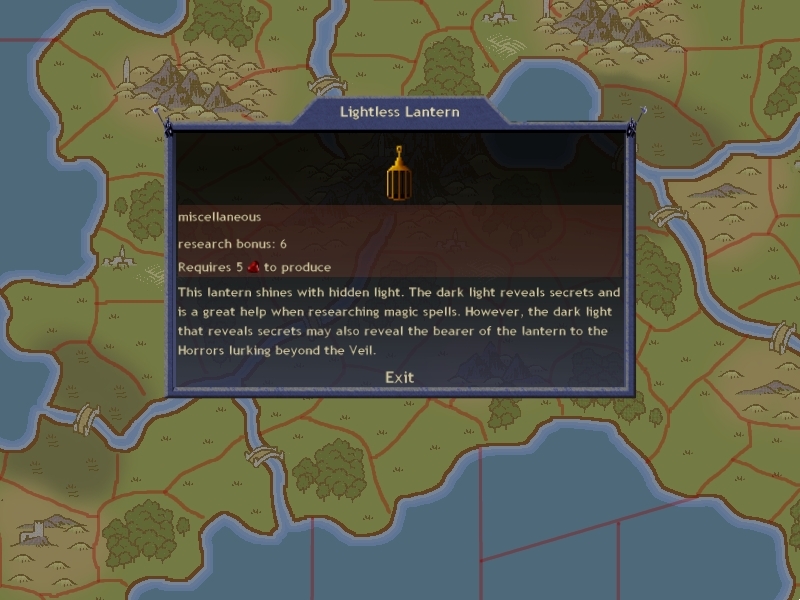 Lightless Lanterns are going to drive my research for the rest of the game. With the construction site and a hammer, they cost only two fire gems each. They have a small chance of horror marking the bearer, but that's an even smaller chance of getting eaten by a horror and it's well worth it for the extra research they'll give me.